The Beijing Essen Welding & Cutting Fair is among the leading welding exhibitions, attracting many professionals in different sectors of the welding industry. It was an excellent opportunity for us to work alongside our Chinese distributors Harbin Jinlifeng Science and Technology Development Co. Ltd and Belwin Intelligent Technology Co. 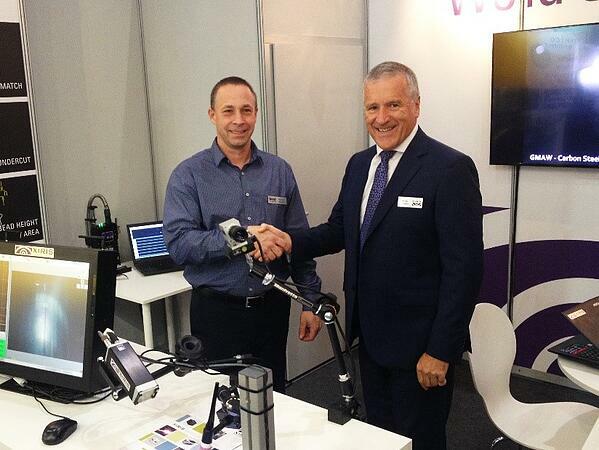 They continue to help us expand our presence in the area, and have our products applied in new ways. Our cameras were on display for visitors, along with footage from our XVC product line. If you wish to have our cameras on display at your booth to highlight your products and equipment in live demonstrations, or are interested in learning more about our company and products, please contact us here. 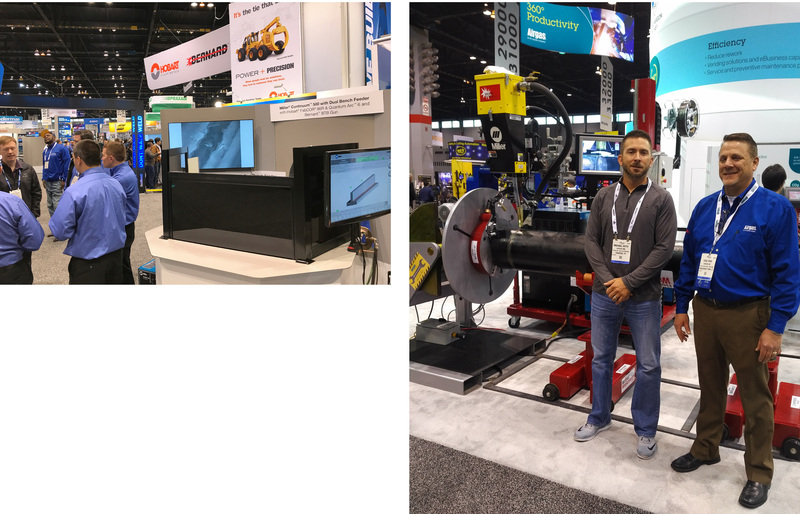 Xiris recently attended the Fabtech trade show, held once again this year at McCormick Place in Chicago, Illinois, USA. Being the largest metal forming, fabricating, welding and finishing event in North America, we were pleased to be an exhibitor! Not only did we have several hundred companies stop by our booth to see our weld camera system and learn how it could be integrated into their equipment or processes, we also had our cameras demonstrated in a variety of other exhibitors’ booths including: Miller Electric, Airgas/Red-D-Arc, Arc Specialties, WeldObot, Hyundai Welding and others. In each case, the cameras displayed real time images of the welding process, showcasing the advantages of the exhibitor’s welding equipment.Cladding machines, orbital welding equipment and closed cell automated welding processes were all on display in real time.Miller Electric was featuring their manual weld equipment and various welding techniques they use when use with their equipment. The use of Xiris cameras at tradeshows has grown exponentially as exhibitors believe it gives them a significant advantage over their competition in two ways. First, it demonstrates their ability to integrate vision into their equipment when required for operator safety and quality, and second, to showcase the finer features of the weld process and the benefits of using their equipment for specific applications. 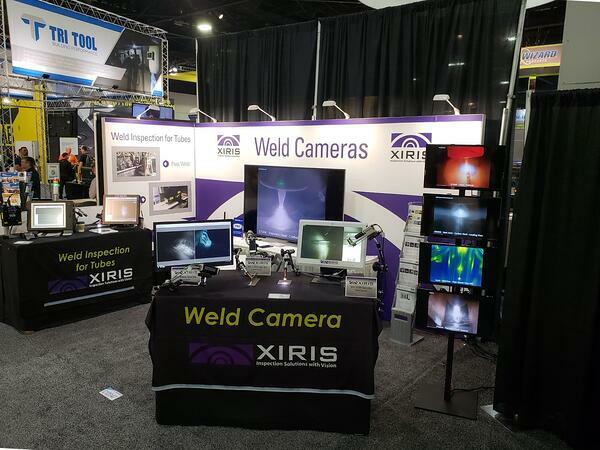 If your company is exhibiting at Fabtech or any other welding automation or fabrication show, in 2018, and you feel you could benefit from displaying or operating a Xiris camera, please contact us here. 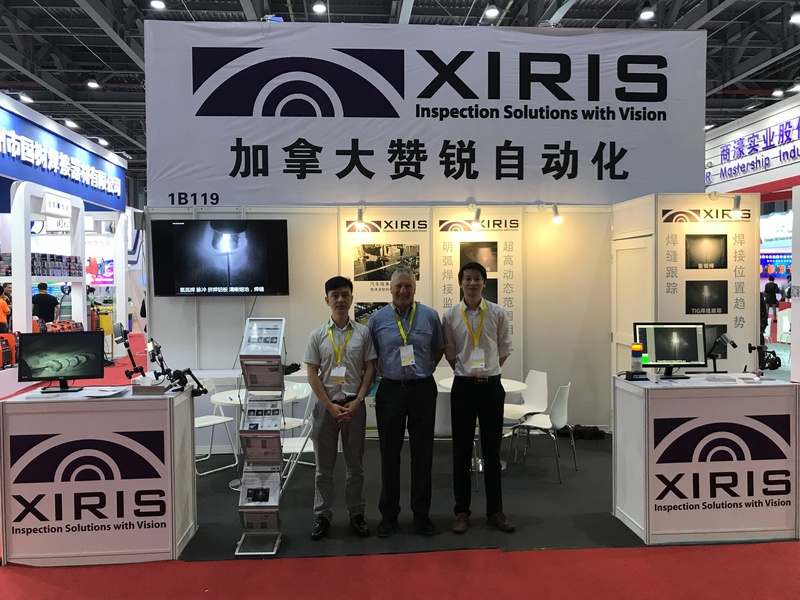 Xiris Automation Inc. exhibited the new XVC-1000 Weld View Camera in this year's Essen Welding Show in Shanghai. The show started June 16th and ended on June 19th, 2015 with an estimated 28,000 visitors from 60 different countries. 85% of these visitors were reported from China, and the remaining 15% were international visitors. 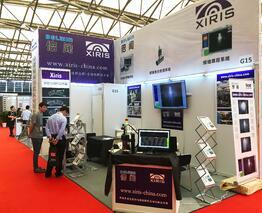 This year's show was another extremely busy show for Xiris, as the use of weld cameras is still new to China. This allowed us an advantage within the fast paced Chinese market to establish many new relationships with both machine builders and end users alike. 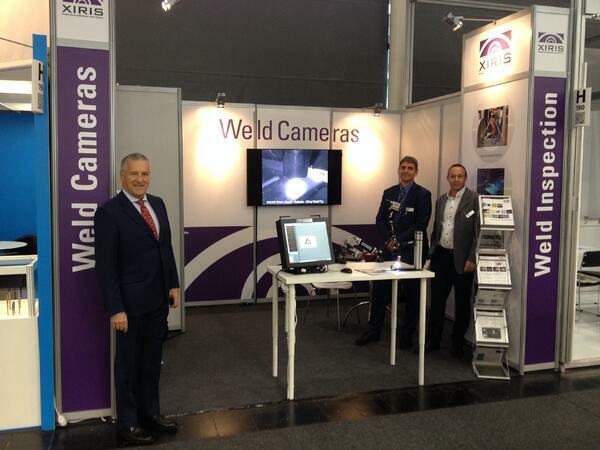 We put one camera in Migatronic our partner’s booth demonstrating live welding images from our camera. The live display of the weld images inspired plenty of interest in our camera. There was an enormous turn-out and many discussions with potential customers. 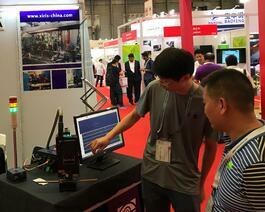 With both new and repeat customers in attendance, our booth was constantly crowded with interested prospective clients. This demand and fascination with our product was due to the unique qualities of the XVC-1000 in the industry. It is a perfect solution for monitoring all welding processes, and perfect for welding professionals. With small format size, high dynamic range capability and remote imaging, the XVC-1000 is a powerful addition to any welding process. In China, as elsewhere, System integrators and general fabricators are constantly fighting to differentiate themselves from the intense competition in the industry. 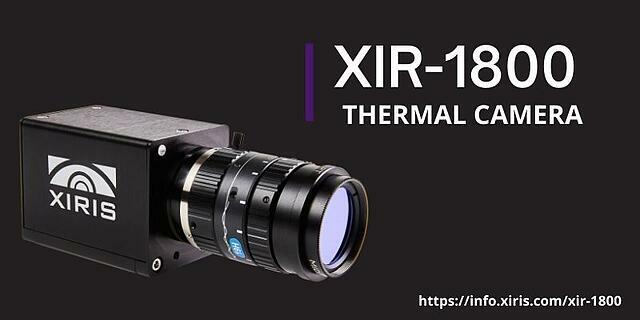 The Xiris XVC-1000 could be the key. Our camera can provide superior image clarity to monitor the entire welding process including both the brightness of the welding arc and its darker background. Fabtech is North America’s largest metal forming and fabricating event that occurs every year. Fabtech began in 1981 and had grown steadily since, this year alone the show featured over 27,000 attendees and 1,400 exhibitors. 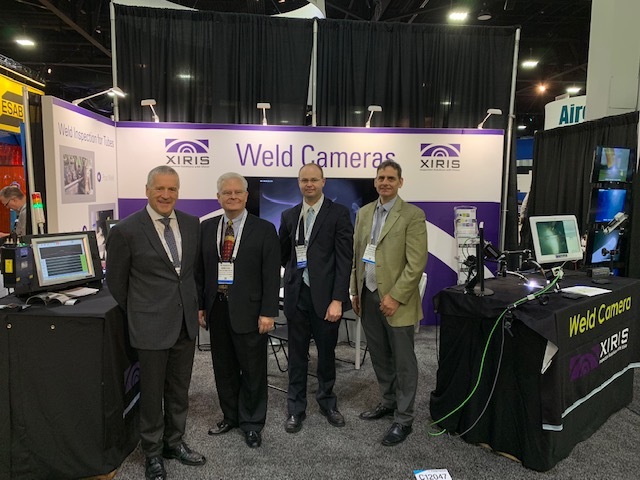 Xiris was very pleased to be one of these exhibitors, and was very excited to debut our new product, the Xiris XVC-1000 Weld Camera, at Fabtech in Atlanta, Georgia this past November 11-13th. 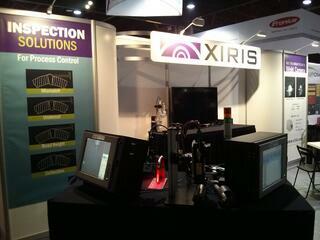 The Xiris booth featured two examples of the new camera system: one camera was installed on a laser beam delivery system that demonstrated how well the camera integrates into laser, plasma or electron beam welding machines; and the other camera was integrated to a high intensity LED light source that could demonstrate the ability to see a super bright object while able to image darker areas in its background, similar to an actual welding environment. The Xiris booth was in Hall C, which focused on companies exhibiting equipment for the Welding and Tube & Pipe industries. There were numerous booths specializing in welding equipment, and Xiris had weld camera systems for both Open Arc and Submerged Arc Welding demonstrated in a variety of other booths including: Lincoln Electric, Gullco, Irco, LaserMech, LJ Welding/Praxair, Red-D-Arc/AirGas, and ESAB. This display of the weld cameras inspired plenty of interest in the product line that kept the Xiris sales team very busy during the show! Xiris is proud to partner with so many prominent companies, and respond to so much interest during the show. Many welding machine builders and laser manufacturers saw great value in integrating the Xiris Weld Camera into their processes and machinery. With small format size, high dynamic range capability and remote imaging, the XVC-1000 is a powerful addition to any welding process. After a successful show, Xiris returned with high hopes and prospects for the XVC-1000. For more pictures of the show, please visit our social media pages! 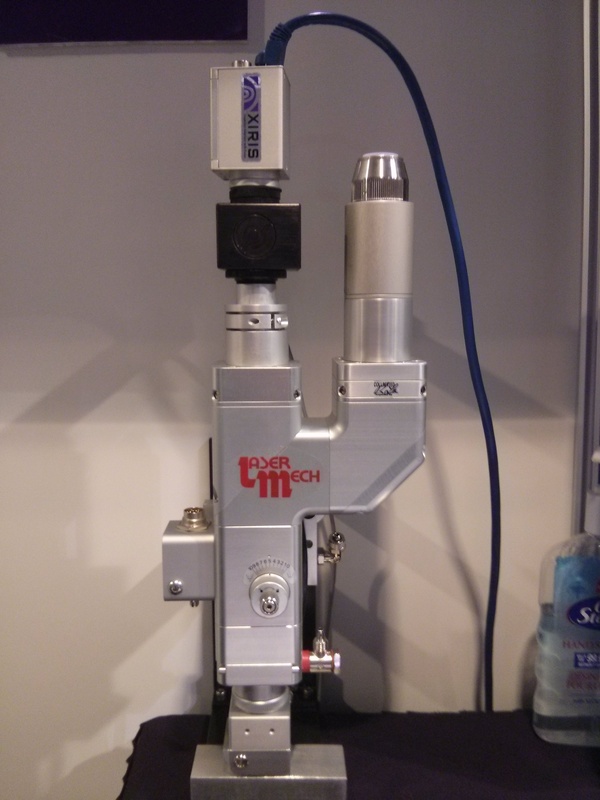 See you at Fabtech Chicago 2015!